When small businesses start out promoting themselves online trough paid mediums their (usually) obvious first thought and choice is quite often Google AdWords. And it makes absolute sense. Google AdWords has been around for more than 15 years now and is in itself a 43.7 billion USD industry and thus the obvious choice of any growth marketer to test the market almost in real time. Now from my past experience about half of the SMBs have the courage to try to advertise on Google by themselves, sadly the majority of them fail to generate a positive ROI and like the other half turn to digital marketing agencies for help. Now I've worked with agencies together or for them or owned one of them for the entirety of my professional career, working together with a broad range of clients ranging from international conglomerates to small companies that were selling plastic placemats trough their WooCommerce web shop and bellow I will analyse a case study and how you can identify and understand if your digital agency is utilising your AdWords campaign to the maximum or not. Now lets take the SMB client from the fashion industry from the screenshot above as the case study of this blog post. The client has had reasonable success in the fashion world (being around since 2005), mostly focusing on wholesale, but has also had a web shop for about 5 years now, and for the first 4 years the client has worked together with a renown London digital agency that "specialises in digital marketing" to focus, develop and execute their online marketing strategy, specifically on Google AdWords. The results of 4 years? Mediocre. The client reported that they barely broke-even when they analysed their ROI based on their sales. While usually not a mistake with the bigger brands as the competition always tries to bid on keywords that include your brand name or variations of it in this case someone did not do their homework. While searching for brand keywords I could only find the clients ads, even 10 months later I have not seen anyone bid on the brands keywords, thus the client was paying for clicks which he could have gotten organically either way. Major mistake here and I really am struggling to see what the decision of the agency was behind not using negative keywords. Considering that they used a lot of broad match keywords (the keywords “fashion” among them) this has cost the client a lot of money trough the 4 years. Another head scratcher. Why advertise in a country where the client doesn't ship to? Laziness to check which countries does the client ship to? I'm guessing that the account executive/manager did not really bother with the account as they have not really done any A/B tests trough out the 4 years on the copy of the ads. Surprisingly they had used seasonal copy though. The client was always really on-point and on-time when it comes to communicating when they are running any promotions or sales on specific items, but those promotions have not really have had an impact in AdWords, because they were never incorporated, the client was of course not happy about hearing of such news. 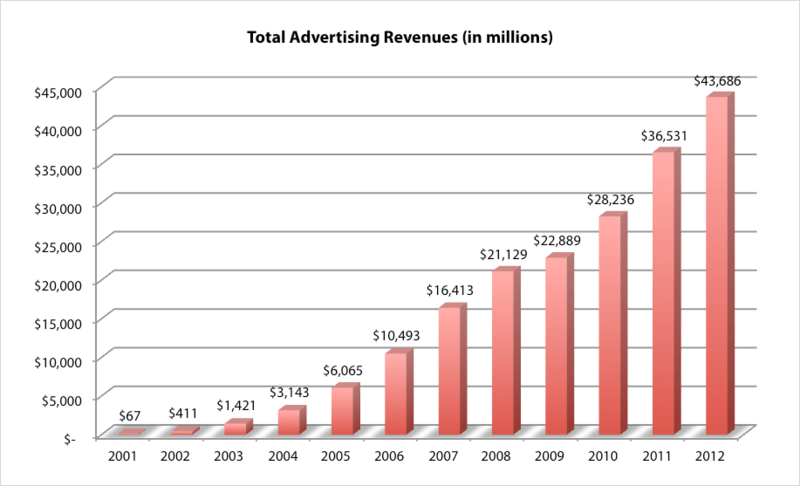 - Sales and the amount of transactions have almost exactly doubled with a few major tweaks and with not even using a professional copy writer to write the ads. 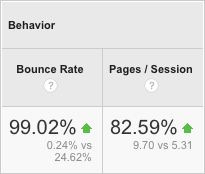 - The bounce rate increased by almost a 100% as well, as we now do not use a lot of broad match keywords anymore and we do not link the whole traffic directly to the home page anymore. We have incorporated site link in the ads that actually do make sense and do not look like they were generated by a robot. - The downside of not using broad match keywords is of course the reduction of clicks, which are now a lot more relevant though, what we can see from the sessions tabs. 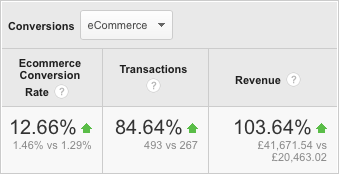 The amazing thing though, is that we have doubled the amount of transactions and sales, while only increasing the spend by about 15%. The client is now well in the green when it comes to his ROI and we have already started buying ads space on Facebook, Bing and looking in the possibility of also including potential affiliates in the mix. In the end my advice would be very simple: Even if you do not know a whole lot about online advertising do not blindly trust the first digital agency that you come across. Question their decisions and ideas and gradually learn about the medium you are advertising on, as per my experience the account executive/manager that handles and maintains your account is working on 5+ AdWords accounts simultaneously and if you will not push him to work on your account he/she will probably not prioritise it. I have seen a lot of executives struggle handling 6 or 7 accounts simultaneously, so be vary when choosing a big digital agency over a small one, as they usually have less accounts. Remember the landscape of digital agencies is incredibly competitive and 75% of agencies that handle AdWords advertising do employ people that have certificates issued by Google and years of experience, so outside of personal recommendations it's hard to distinguish them, therefore make sure you ask the right questions when you meet them, but that's a topic for next time.